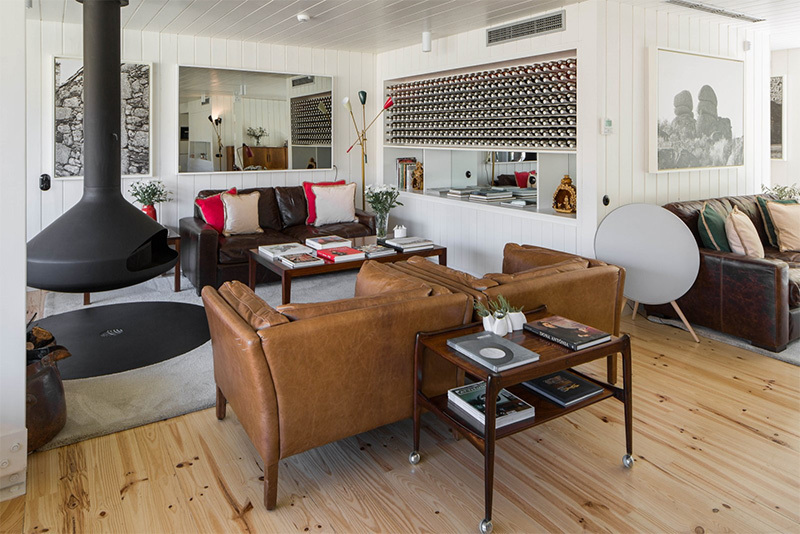 Architect Francisco Vieira de Campos of Menos é Mais, have designed a new six room boutique hotel named Casa do Rio, as part of the Quinta Do Vallado Winery in Portugal. 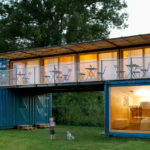 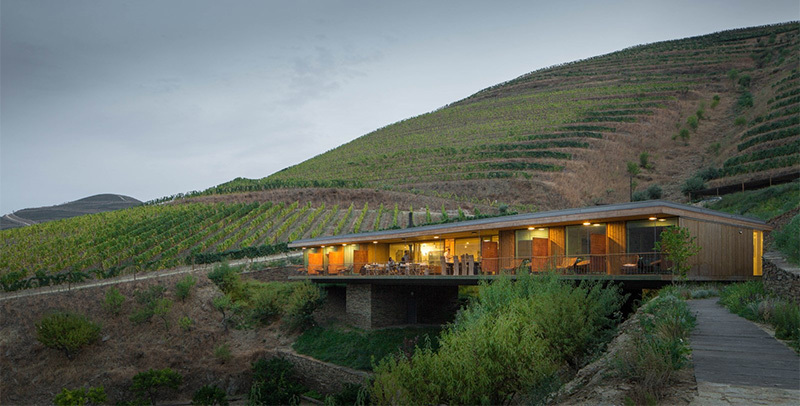 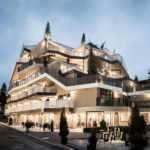 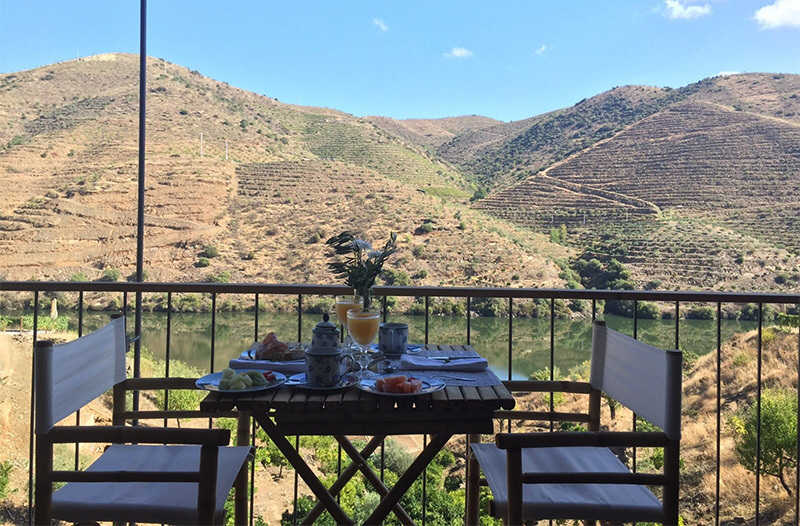 The building is nestled between the hillside, vineyards and sitting above a picturesque river. 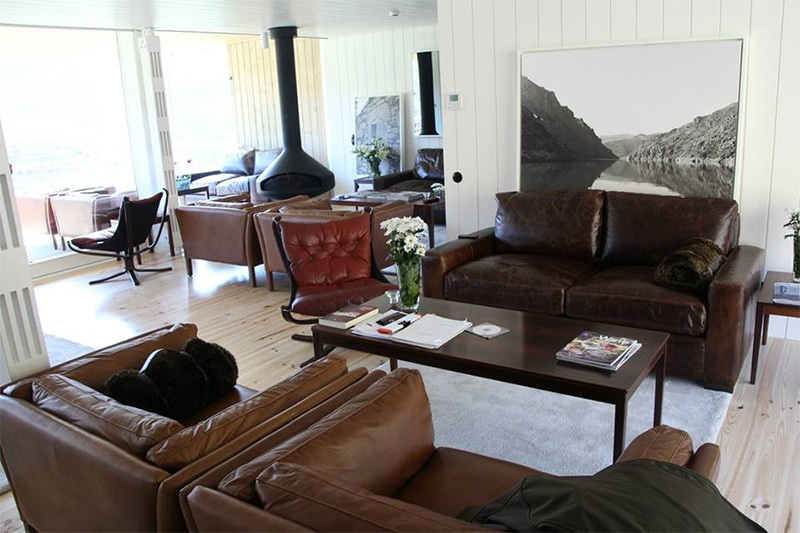 The hotel has a common area for the guests, with a fireplace, perfect for relaxing. 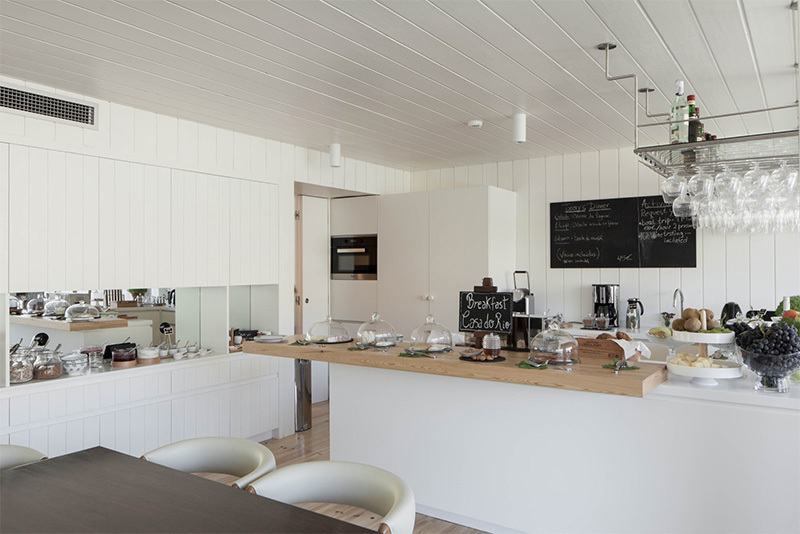 A small kitchen provides breakfast for the guests. 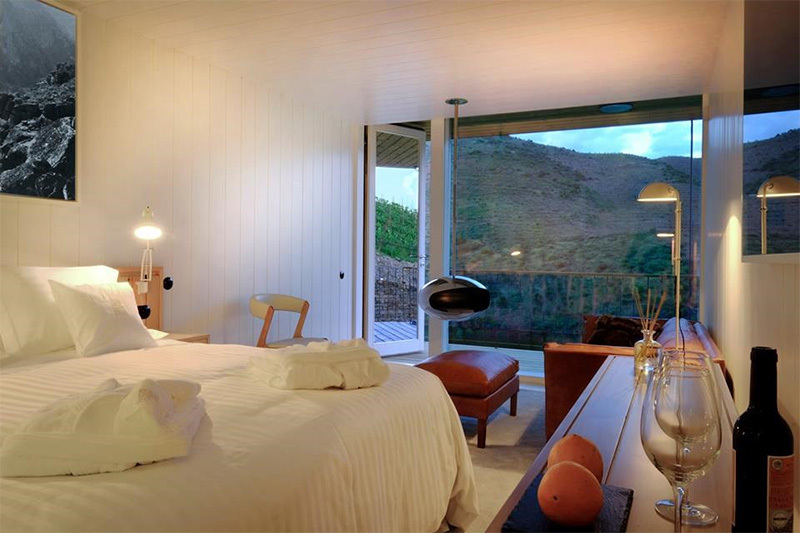 Each of the six suites have doors that open to the balcony. 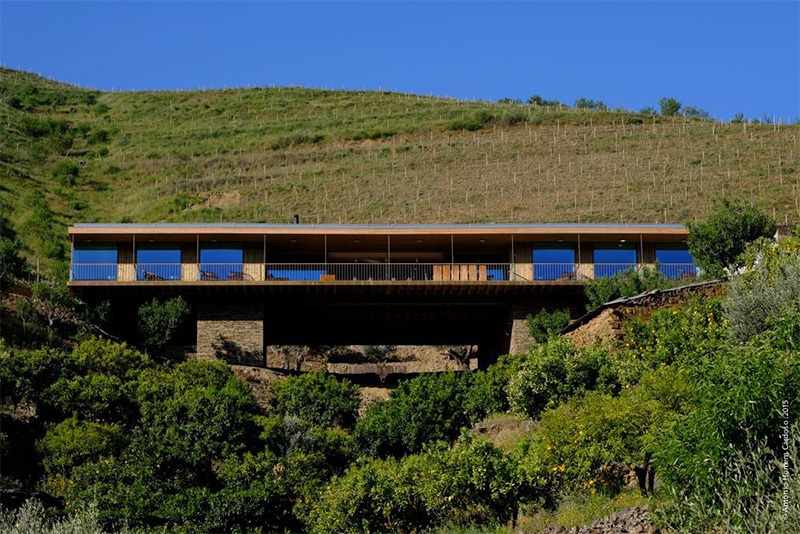 The balcony has views of the vineyards on the surrounding hillsides. 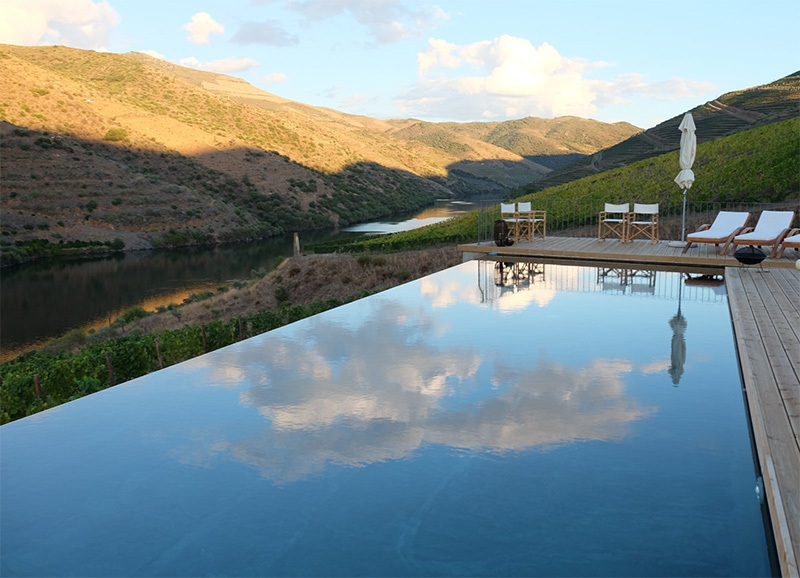 An infinity edge pool is also tucked in to the hillside.